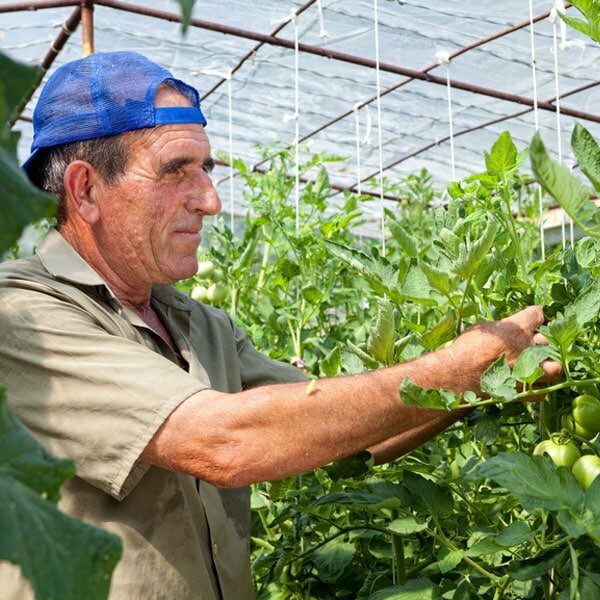 We’ve put together 25 of our favorite organic gardening tips to help you grow a healthier, more productive crop. Enjoy! 1. If you can not use finished compost for a while cover the pile with a tarp to avoid leaching the nutrients out of the compost. 2. 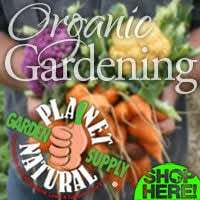 Companion planting is an excellent way to improve your garden. Some plants replenish nutrients lost by another one, and some combinations effectively keep pests away. 3. Dry your herbs at the end of the summer by tying sprigs together to form small bunches. Tie them together with a rubber band and hang, tips down, in a dry place out of the sun. Keep the bunches small to ensure even circulation. Store dry in labeled canning jars, either whole or crumbled. Freezing is also a good way to preserve herbs. 4. Water in the morning to help avoid powdery mildew and other fungal diseases that are often spread by high humidity. 5. The longer the growing season the more compost is needed in the soil. 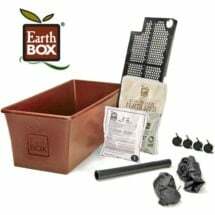 A longer growing season requires more nutrients and organic matter in the soil. 6. Attract ladybugs to your garden with nectar-producing plants such as parsley, dill and fennel. Got bugs? At Planet Natural we offer a large selection of natural and organic pest control solutions that are guaranteed SAFE and effective. Also, visit our very popular Pest Problem Solver for insect pictures, descriptions and a complete list of earth-friendly remedies. 7. Coffee grounds make excellent mulch around acid-loving plants. 8. In general, thinner leaved plants need more water to stay alive, thicker leaved plants need less. 9. Make compost tea by mixing equal parts compost and water and let it sit. 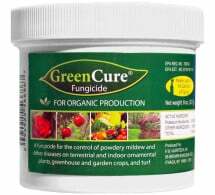 Pour this liquid directly onto the soil around healthy, growing plants. 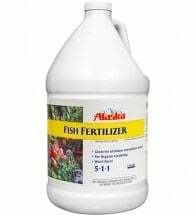 Dilute this to 4 parts water to 1 part compost for use on smaller seedlings. 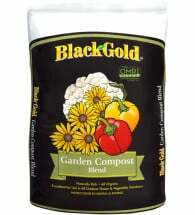 Any compost that has not gone into solution can be used to make more tea or used in your garden. 10. New beds require plenty of compost, soil amendments and double digging for that extra kick. 11. Keep dirt off lettuce and cabbage leaves when growing by spreading a 1-2 inch layer of mulch (untreated by pesticides or fertilizers) around each plant. This also helps keep the weeds down. 12. Avoid using railroad ties in or around your vegetable garden; the chemicals used as preservatives are now thought to be toxic and harmful. 13. Milk jugs, soda bottles and other plastic containers make great mini-covers to place over your plants and protect them from frost. 14. Less than 2 percent of the insects in the world are harmful. Most are beneficial. 15. Pinching off flowers frequently encourage most annuals to flower more abundantly. 16. Bats are a great form of natural pest control. Many in North America feed exclusively on insects and eat more than birds and bug zappers combined. 17. When watering, try to water deeply and thoroughly. 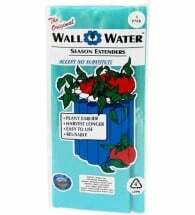 Frequent, shallow waterings train your plants to keep their roots near the surface, making them less hardy and more likely to suffer when deprived of water. 18. Rotate your crops each year to help reduce pest and disease problems as well as correct nutrient deficiencies and excesses. 19. 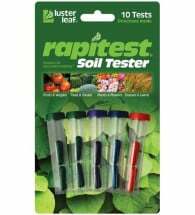 Pest management begins with healthy soil. It produces healthy plants which are better able to withstand disease and insect damage. 20. 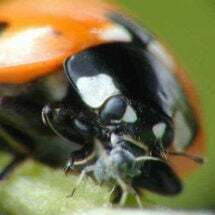 Diatomaceous earth makes an excellent organic insecticide – it is an abrasive white powder used to damage the cuticle, skin and joints of insects. It also makes an excellent slug barrier. 21. 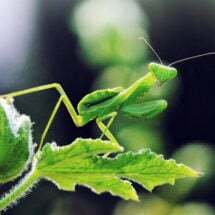 Botanical insecticides are plant derivatives, and can be more toxic than some synthetics. They are, however, better in the long run because they break down rapidly and do not accumulate in the food chain as synthetics do. 22. Once a seed sprouts it must be kept watered. If it dries out, it dies. If seeds are lightly covered with soil, they may need to be gently sprinkled with water once or twice a day to keep them moist. 23. Earthworms are extremely beneficial to the soil and plants, increasing air space in the soil and leaving behind worm castings. 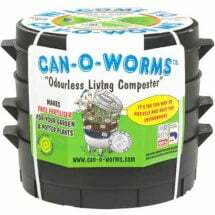 Do everything you can to encourage earthworms in your soil. 24. A garden soil that has been well mulched and amended periodically requires only about a 1 inch layer of compost yearly to maintain its quality. 25. For an organic approach to pest control, build up your soil to encourage beneficial microbes, other soil microorganisms and earthworms. Healthy soil means healthy plants that are better able to resist pests and disease, reducing the need for harmful pesticides.